Express by Holiday Inn Madrid Tres Cantos is the best option when looking for a safe and quiet Hotel located in Tres Cantos Business district. Madrid city centre very easy to reach within 30 minutes by train as well as the Universidad Autonoma de Madrid: 10 minutes. The hotel is located in a privileged area very close to the main headquarters of the most important companies situated in Tres Cantos: GlaxoSmithkline, IBM, Serono, Sener, Danone, Sogecable, BDF Nivea, BP Solar, EADS, Software AG. The hotel is also next to Alcobendas, San Sebastian de los Reyes and Colmenar Viejo Industrial and financial areas. The family rooms can acomodate a maximum of 2 adults and 2 children. If you wish to make different arrangements, please contact the hotel directly. The Hotel provides Free wireless internet connectivity and Free breakfast buffet. 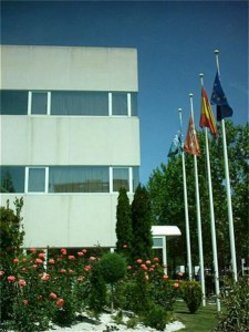 The hotel is also ideal as etape hotel for those who want to overnight in the area of Madrid when crossing Spain without need to enter the city centre.